Sharing one of my favorite buttermilk pancakes today! 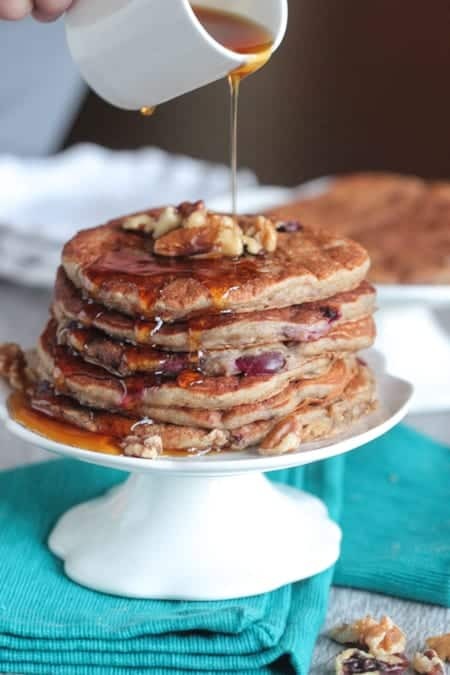 These Whole Wheat Cherry Walnut Buttermilk Pancakes are the perfect way to start your day! Packed with lots of goodness. Making a gorgeous pancake recipe on the weekends for my family is one of my very favorite meals to treat them with. 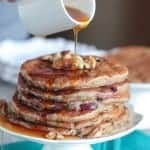 These buttermilk pancakes with cherries and walnuts could not be more delicious! Try my Raspberry Chocolate Chip Buttermilk Pancakes too! Follow Picky Palate on Instagram for daily recipe inspiration! It’s a pleasure partnering with Fisher Nuts to bring you a heart healthy new recipe today! 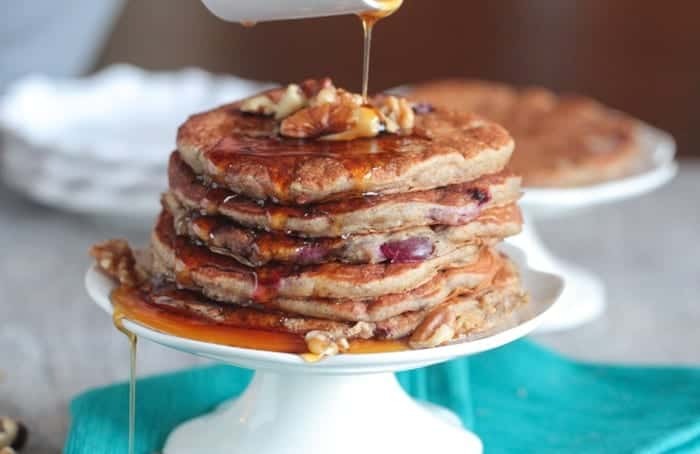 Pancakes are one of my favorite recipes to develop so it I had so much fun creating this gorgeous stack you don’t have to feel guilty about. 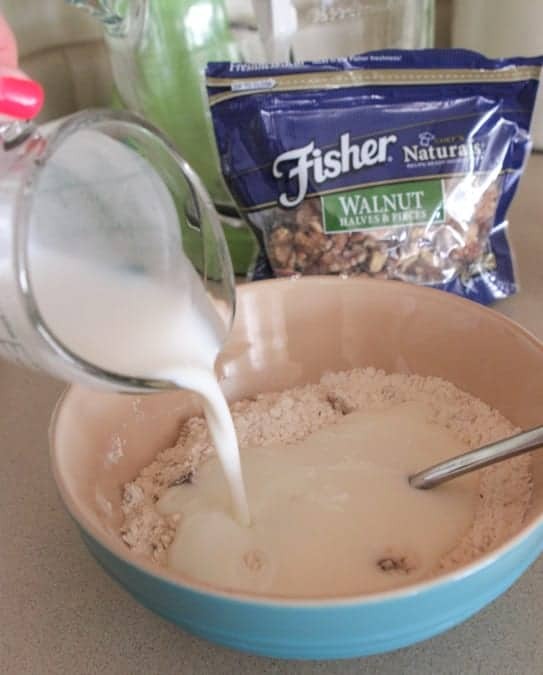 You’ll find whole wheat flour, ground Fisher Walnuts and dark cherries. This combination will have you smiling ear to ear! 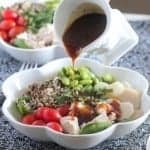 The great thing about this recipe is that you just add everything to your mixing bowl. Dry and wet ingredients. You’ll be pleased with the ease of prep work. Once you’ve mixed the pancake batter then chop up some frozen cherries. I like to use frozen because they don’t color the entire batter red and they’re already pitted. Top with additional Fisher Walnut Pieces and drizzle with pure maple syrup. 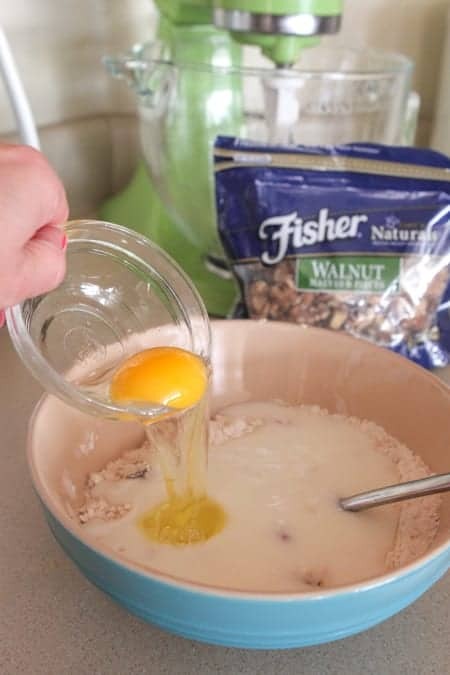 Place flour, Fisher Walnuts, sugar, baking soda, salt, buttermilk and egg into a large mixing bowl. Stir to combine then gently stir in chopped frozen cherries. Spoon about 1/4 cup batter into hot skillet, swirling to make round. Cook until browned then flip to brown other side. Remove and stack onto plate. Continue finishing pancakes until batter is gone. Place onto serving plates and drizzle with pure maple syrup. The frozen cherries tip is great! Nus in pancakes are a MUST around here. 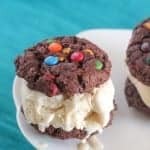 I love the combo with the cherries, and thanks for the tip on using frozen ones too! I love using frozen cherries too! And I never thought to pair them with walnuts but they sound perfect! I love that Fisher has the seal top too! That bag would be great for when I need a quick little snack! Adding in those cherries is a great idea! I happen to have all of the ingredients! Walnuts are one of my favourites and they pair so well with cherries! Looks like I found something new to make for the family next time we’re at the cabin! Yum! Jenny, these pancakes look amazing! Walnuts and cherries are such a great combo. Walnuts and pancakes are so lovely together! I really do love it, making these this weekend!!! What a fun flavor combo 🙂 Pinned for an upcoming breakfast idea! Made these today for Valentines Day! My family loved them. We served them with whip cream and buttermilk syrup. Delish! Thank you for the recipe. We did double it to have enough for our family of six. 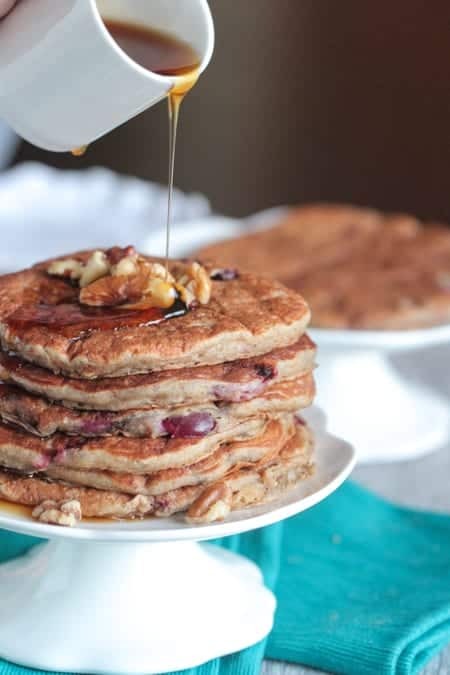 Recipe for delicious and healthy pancakes, we will test with the ingredients we have here, thank you! delicious. here in Brazil should have more of that. 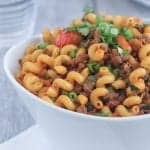 This classic recipe is amazing! One of my favorites! 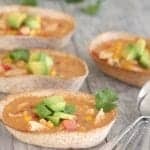 It looks divine, nice recipe and amazing pics! Just wonderful and so tasty! in Brazil we do not have the habit, but I love it. It sounds delicious and very nutritive! Hmmm, my delight is with water in my mouth. delicious. here in Brazil should have more of that.I really love your tips! wow it looks delicious, I need to try it. This is seriously delicious !